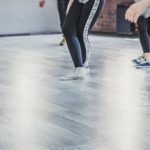 In this 4 week course we work on the basics of house technique: groove of the body, footwork and timing. We wil jam with with the group with the basic steps to understand the diverse feeling you can create with the basic steps and to develop your own personal groove. Of course we end with a nice house routine with influences of jazz, salsa and floor work.